This new podcast will offer a behind-the-scenes look at the Mueller probe. 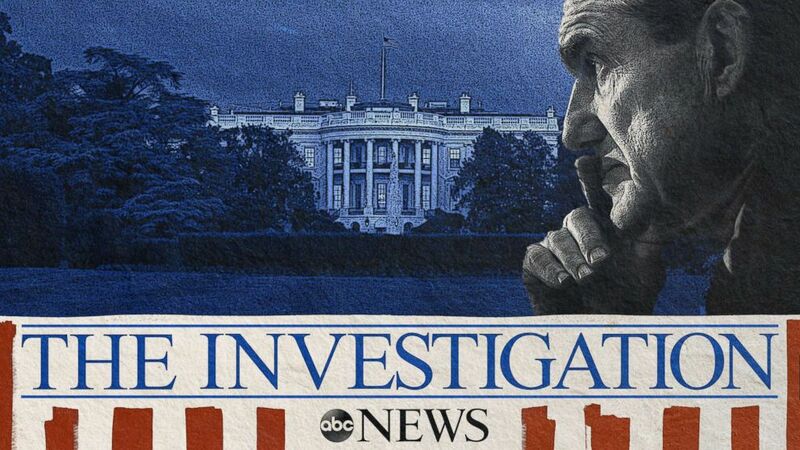 "The Investigation," a new podcast from the ABC News investigative team and ABC Radio, will offer a behind-the-scenes look at special counsel Robert Mueller’s investigation into Russian interference in the 2016 presidential election and explore its aftermath, analyzing the potential fallout and political consequences. The podcast, hosted by ABC News correspondent Kyra Phillips and the ABC News investigative team, led by Senior Executive Producer Chris Vlasto, will take listeners through landmark moments in the investigation, and the events that led up to it, from the Democratic National Committee hack to Wikileaks to the Trump Tower meeting, through the upcoming release of the special counsel’s report. "The Investigation" will include interviews with principal players, as the highly-anticipated release of the Mueller report approaches. The podcast is produced by the same team that brought forth exclusive interviews with former FBI Director James Comey, President Trump's former personal attorney and fixer Michael Cohen and Trump's longtime business associate Felix Sater, a Soviet-born American businessman who has raised funds for real estate developments on behalf of the Trump Organization. New podcast episodes will be made available every Tuesday. Bonus episodes will be made available as news warrants.